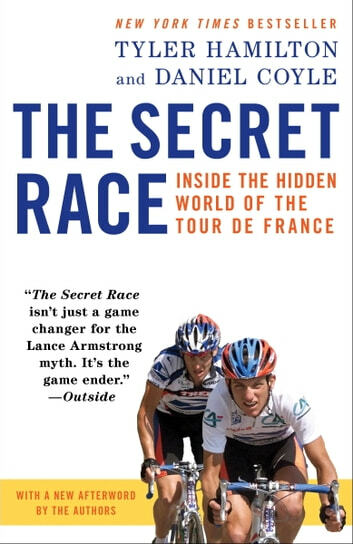 The Secret Race is the book that rocked the world of professional cycling—and exposed, at long last, the doping culture surrounding the sport and its most iconic rider, Lance Armstrong. Former Olympic gold medalist Tyler Hamilton was once one of the world’s top-ranked cyclists—and a member of Lance Armstrong’s inner circle. Over the course of two years, New York Times bestselling author Daniel Coyle conducted more than two hundred hours of interviews with Hamilton and spoke with numerous teammates, rivals, and friends. The result is an explosive page-turner of a book that takes us deep inside a shadowy, fascinating, and surreal world of unscrupulous doctors, anything-goes team directors, and athletes so relentlessly driven to win that they would do almost anything to gain an edge. For the first time, Hamilton recounts his own battle with depression and tells the story of his complicated relationship with Lance Armstrong. This edition features a new Afterword, in which the authors reflect on the developments within the sport, and involving Armstrong, over the past year. 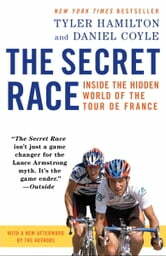 The Secret Race is a courageous, groundbreaking act of witness from a man who is as determined to reveal the hard truth about his sport as he once was to win the Tour de France. With a new Afterword by the authors. Wow. An amazing read into how far you'll go to win. An excellent look at the drug/doping culture of the cycling world, and ruthlessness of Lance Armstrong. One may not like the fact that these cyclists cheated, but you understand why they went down that path. Tyler Hamilton does a terrific job of revealing the ugly and dark side of pro cycling. His experiences are enlightening and seem to come from the heart. A wonderful read for the pro cycling fan. This is a well written book that tells the real story from the pro peloton. But be warned, you will never look at a pro race the same again. Although I knew doping happened, it was disappointing to discover the scope of it. Even sadder was the realization that many excellent riders who refused to "play the game" were denied an opportunity to participate. Our "win at all cost" helped create this situation. This book was not just about Tyler Hamilton or Lance Armstrong. It was an indictment of the entire system. I do not consider Tyler a hero, but he was brave in writing this book. He endured threats and accusations but was not dissuaded. In light of recent events, he was proven right. Perhaps worst of all is the conduct of Lance Armstrong. He exemplifies the definition of a narcissist. He attempted to ruthlessly destroy anyone who got in his way. Anyone who was not with him was against him. He denied any culpability until he realized there was no choice. His televised confession lacked any semblance of true remorse. I hope we all come away from this book with a more realistic view of today's superstars.